If you’d like to start with some broad-brush information about franchising this is the right place. When it’s done well franchising is a win-win arrangement between the franchisor (the person selling a franchise) and the franchisee (the one buying a franchise) and a highly effective way to grow successful businesses for all concerned. If you want to find out more about how franchising works, download our What is franchising? presentation. There are lots of ways to define what a franchise is including some fairly complicated legal definitions but we like to keep things simple. A franchise is a type of business that works by selling, distributing or supplying its good or services through multiple places each owned and run by another person or business. 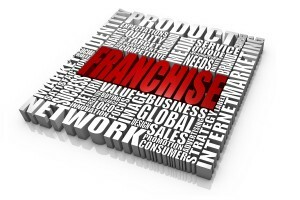 The other person or business is called the “franchisee” and the main business is called the “franchisor”. Franchisees normally pay the franchisor for a complete set-up package which includes a legal agreement and also pay on an on-going basis for what they receive from the franchisor. When done well franchising is a real win-win model for business development. It may not be immediately obvious but franchising is an extraordinarily successful business growth strategy. It has it origins in the USA and some say the seed was sown by Isaac Singer in the 1860 when he needed a way rapidly to expand his service and repair network for his famous sewing machines. He established a licensing scheme although there was more to it than that. Singer experimented with expanding his initial scheme to be a "package" covering other things including sales. Some say Martha Matilda Harper invented franchising (see video - left). She certainly introduced some key ideas but that was after Isaac Singer. However, many would credit the creation of the modern franchise to Ray Kroc the founder of the McDonalds franchise. Ray realised that he had to totally systematise the business if it was to be grown using the franchise method. With a completely systematised burger restaurant he was able to endlessly replicate a winning formula which mean that customers got a consistency of product and service at every outlet. Each Franchisee had a very high chance of success. So, in broad terms, all you have to do to build a successful franchise is follow Ray Kroc's examples. Unfortunately, many would-be franchisors completely miss the point and think they can get away with not putting the work in to make the franchise systematised, and able to work consistently and predictably well. They often get away with it... for a while. At Replico we have a series of methods and tools for building franchises that just keep on working better and growing well. Franchising is just one of a number of ways of achieving the next level of growth for your business that are based on replicating all or part of it. Other possibilities for relatively rapid business expansion include exporting, licensing, product licensing, agency and distribution networks. Whatever the framework, the keys to success are largely the same. If you had a replica of your business (or part of it) run by someone else and you got 10% of their profits that might not get you excited but with 10 replicas you would double your profits and with 100 replicas or 200 replicas you'd get.. Well you get the idea. Most successful business can be replicated and we know how to do it for you. Franchising and licensing are two popular options but there are others. On the other side of the coin, buying a replica of a winning business formula (such as a franchise or licence) is a smart way to get a business of your own up and running fast. We can help you avoid the traps and pitfalls so you make a good buying decision. Carl was really helpful in advising me on the best approach to licence my business overseas. He gave straight forward, practical advice which I was able to follow. Carl is an excellent public speaker who is able to hold the audience’s attention throughout.